In the multi-channel world we live in now, it's apparently not enough to name your television channel something ordinary and self-explanatory, like UKTV Gold. Consumers need to see interesting nouns pop up on their set-top box before they click. Well, that is seemingly the thought behind UKTV's latest exercise in re-branding. Forgoing the Ronseal-esque names of UKTV Documentary and UKTV People, the channels will be re-launched early next year under the sparkling banners of Eden and Blighty. Yes, you read that right. 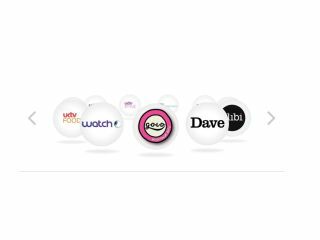 This is all part of a massive re-launch for UKTV, which begins this month with UKTV Gold +1 given the new moniker of Watch, and the launch of a comedy channel called Gold (standing for the slightly annoying Go On Laugh Daily). Oh, and let's not forget Alibi, which is now the new name for UKTV Drama. Is this brilliant brand re-invention or polishing a turd? You decide.